From an end user perspective, a new user will not know how to change configurations and the older project will clearly explains what pico is all about. If a user wants to try NativeEx_Barebone, also make it available but you should note that the name itself will not be intuitive to prospective users. They know instantly what a picoXP will create, and this is the key point for making it available over nativeEx. Wonko's project hangs in qEmu, too; same like in my archive files. Same result with the included WB 072 and WB 082. It's NOT "Wonko's" project is a file that Wonko found by searching with google since the original project Author and the Owner of the project's supported board managed to remove the previously available download. Wonko has NO responsability whatever, directly or indirectly connected to the contents of the file, it's validity or anything else. (I thought that simply the link was lost and that it could be easily fixed). Do you really mean that you LOST/DELETED the actual files that were hosted? Yes, all the contents under winbuilder.net were lost. The compressed file containing the contents of winbuilder.net was corrupted and I have little means to bring back the projects listed under the links on the winbuilder section. I create a PicoXP_SE from nativeEx_barebone, which from the GUI looks similar to the original, and from the result is identical (?) with the original PicoXP. Thanks pscEx. 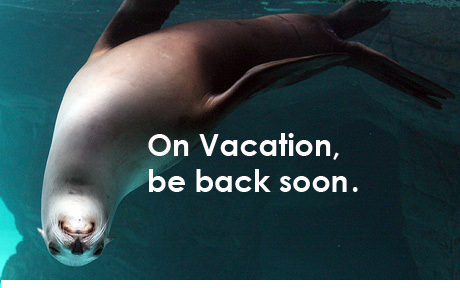 Have a good vacation. I have successfully built a working PicoXP using the hotlink posted earlier. If you make any additions. Can you post them,.They might get added to the new version. Peter, can we keep this simple? All that is required is to get the working version from hotfile and create a topic on the downloads portal. I can create this myself in 5 minutes but it is your project and you deserve the credits, reason why I ask you to do it. What we can't have are broken links for much longer. It can be done after vacations but please keep the name as "PicoXP" and just upgrade the version number. It already pains me to see a project called "win7pese" instead of a simple "win7pe" that would ease everyone's life. Aren't those supposed to be "backups" of some kind? I have several words and none of them are nice. Luckily, most of the projects are still scattered around the Internet and winbuilder.net was just keeping them together for convenience of download. Right now I am restoring the links but even that seems like a difficult task every time it depends on others good will. Guess I will have to do things by myself if I want to see them done right and quickly.. When I understand you correcty, the developers in quotes mean something like "so called, but no real developers". I do not feel be a member of that team. When you mean the author of the project (he is a real developer), the author (me) will think about telling you the result of the check. Can we please just have a topic on the downloads portal with the copy of picoxp made available on hotfile? I've tested the package and it is working very well. That's easy, you did not understand me correctly. I have NO idea IF the link I posted contains (as I presume) a copy or "mirror" of the "good" files, what I can see is that they are not in the "monolithic" form of a downloadable .zip archive. I presume that "developers" (which include BOTH you and Nuno as "Winbuilder developers" and actually include you TWICE being also the Author of the actual project at hand, i.e. ".script developer") can verify if my GUESS is correct and possibly re-assemble a .zip file that is somehow either "more recent" or "better validated" than the "random" link I found on hotfile.com that, for all I know may be an old and outdated version. My guess, or rather, assumption comes from the fact that the folder is named "70511-MAY" that could mean that the version inside it is as recent as May 2011 (or at least validated/checked at that date). OK, so to keep everyone informed here. I have successfully created a basic PicoXP build, but I cannot get any of the Ghost executable to run inside it. The FreeDOS32 files remove to much of the support needed to even try to launch the Ghost files (I thought FreeDOS32 would, but tried it anyway). Using the original Microsoft DOS files gets me some results, but the Ghost files will still not launch stating that a library is missing. Someone earlier mentioned that the NativeEx_Barebones project will result in a build extremely close to the PicoXP build, so I gave that a shot. Using that I got some very nice results. Setting the shell to CMD with GUI support got me a CMD window at boot-up and I was able to launch the Ghost32.exe for Ghost. Next step is to get network support and lots of drivers included in my build. Maybe the Explorer shell or something like it. I will try to keep you all posted as I work. Should I start a new thread for this or keep posting to this thread? Thanks. My build setup is a MacBook Pro host running OSX 10.6.8 with a Windows XP SP3 Parallels Desktop virtual machine and using a Windows XP SP2 MSDN ISO for a source. It helps to improve something. Yes, PicoXP is not intended to provide Graphical support. That's already mentioned in the description. For cmd.exe as shell and providing minimum graphical support, IMO only nativeEx_barebone currently can help. Because this is not longer an issue of PicoXP, as you suggested, you should start a new topic in the nativeEx forum. BTW: I'm also the author of nativeEx_multiPE, the only project which can build from XP/W2003, Vista, Win7 x86 source CDs. I would be glad to fullfill your requirements with that project. When you try it, please remember, that a lot of things are still under development (like currently NVDA support for blind people), and therefore not every download runs well. If that is the case, please do not simply forget the project, but report. If I may, starting from a barebone and litlle by little adding to it network, lots of drivers and Explorer , while actually being an "educative path" during which you will learn a lot of things, will give as result a mid-sized PE build (only probably worse ). Maybe, if you somehow *need* or want Explorer as shell you should begin from a build/project that already has an option to have it as shell, as such option has been probably tested extensively and works. As the user tells us, he wants to have a shell PE w/o explorer (and w/o all of it's bells and whistles). What does it help to say: You should include a possibility to activate explorer in your PE, just for the case that you anywhen want to have it? Topic closed for me. Real development of this issue we are going to do in a different topic. I hope that you do not disturbe it with your helpful additions. EDIT for the record: The "logical close" means that I do not want to answer on any more "history", "backup" etc. questions. The "physical close" is made because upload of the PicoXP project "automagically" created a new topic, which is the new discussion home of that project. New topic after upload of "reanimated" project here.